Registration for our next six-week session of social skills classes is now open. Classes begin on Sunday, October 8th and run through Sunday November 12th. We are offering three different sessions so please read the specifics below. As always, reach out to us with questions at confidentsolutions7@gmail.com. We believe that empowering the parent/guardian is equally important in empowering the child. Please plan on staying for the parent session of your child’s class to learn what your child is learning and how to help your child at home. For session one and session two, teacher letters will be e-mailed weekly to each parent. This gives you the opportunity to share what your child is learning with his/her teacher so we can collectively help your child practice these skills within their different environments. We encourage you to let your child’s teacher know that he or she can also reach out to us for extra support or questions for your child in the classroom. We’re all here to help your child grow in his/her social learning. The total cost for a six-week session is $225.00. To register, fill out the registration form found at the top and e-mail it to us at confidentsolutions7@gmail.com. Each group will have no more than 5 students so we can practice “thinking” about thinking as well as individualize for each child. Questions about our classes? Please e-mail us with your questions and we would be happy to connect with you to tell you more! Zones of Regulation helps teach students how to be more mindful of other people in their social circles. They will begin to make a connection between their actions, their own emotions, and how others are feeling. Zones of Regulation teaches children how to consciously regulate their actions based on understanding their feelings. This will lead to increased self-control and problem solving abilities. During the class, they will learn how to use strategies or tools to stay in a zone or move from one to another. This session is designed for open practice of the social skills that have previously been taught. We will create opportunities for the students to practice social thinking, Theory of Mind skills, and executive functioning skills in a play environment. This gives us the opportunity to help each child individually navigate a challenging social scenario using their tools and knowledge from previous groups. This session will work on deepening the interpersonal skills to develop better problem solving skills which creates a scaffolding of increased social skills. Due to the level of individualization, instead of a weekly teacher letter, we will give our contact information to your child’s teacher and can facilitate open communication on skills their student continues to strengthen as well as get feedback on what skills need continued practice in the school environment. I recently read a parenting article talking about how, as a mom, I should stop doing certain things for my kids. I liked the article and may have even shared it. As I thought of two of my children while reading it, I said, “Yes! Of course that makes so much sense”. But as I thought of my third child I felt my hesitation about the advice I received. Most of that advice would NEVER work for him because he needs to be taught in a systematic and cognitive way specific skills that other kids learn intuitively. For example, although many middle schoolers are messy, my middle schooler is messy and unorganized. However, he has a desire to be tidy and organized. The more I allow him to learn from his mistakes of unorganization, the more frustrated he gets which results in the more unorganized he gets. Eventually, he gives up all hope of ever being organized and this unorganization carries over from his binder, to his room, then his brain, and finally his emotions. It will affect him in every way. But if I (or another adult) offer an organizational method in a slow and systematic way, he learns it. Once he learns it without prompting or cues, he uses it. And while it may not be the way I envisioned it in my head, he uses it in a way that makes sense to him. Now he is ready to learn from the mistake of not using it. This process can take a week, a month, a quarter, or even a full year. No matter how long it takes, it’s important to realize what skills we can step away from and which ones need to be taught slowly and systematically which will give our children chances for more success. Wendy Britt is a licensed Speech-Language Pathologist who currently sees patients from pediatrics through adults with a variety of Speech and Language Impairments. Therapy can take place in your home or in our office at 1905 JN Pease Place, Suite 201 Charlotte, NC 28262. Call us to set up an initial appointment or have your physician fax a doctor’s order to 980-225-0229. Typically, we learn social skills in an intuitive way around 3 to 4 years old. When these skills are not learned naturally, it’s important to teach them cognitively in a nonjudgmental way. What does “listen” actually mean? What are the expectations of “listen”? We are excited to help your child learn new skills and tools that he/she can use at home and at school. We look forward to seeing you in a few weeks! E-mail us with any questions. We love connecting with you! confidentsolutions7@gmail.com You can also find useful information under our Upcoming Events tab on our home page. Who Benefits From Social Skills Classes? Our six-week session begins on Sunday, August 20th. There will be no classes on Sunday, September 3rd over Labor Day weekend. We want to begin teaching these skills just before or as school is beginning so your child will have tools to begin the new school year. The total cost for a six-week session is $225.00. To register, fill out the registration form found at the top and e-mail it to us at confidentsolutions7@gmail.com. Each group will have no more than 5 students so we can practice “thinking” about thinking as well as individualize for each child. This is the perfect beginning class if you are new to our social skills groups. This six-week session lays a foundation of skills that your child can continue to build upon and grow his or her social thinking. During this session, children and parents will learn the differences between self-awareness, self-monitoring, and self-control. Students will learn about “hidden” social expectations in different environments, how to make social observations to learn those “hidden” rules, how behaviors are connected to emotions, strengthen imitation skills, how to gain self-awareness with individual behaviors, move into self-monitoring tools for shifting negative behaviors into positive ones, how to identify if a problem is a big one or little one, and learn how to use your whole body to listen. As we continue to teach these skills, the group will begin to understand that people have a perspective that is different from their own and how to navigate a social interaction using this knowledge. Each child will choose a personal behavior goal and learn tools to help create a shift in awareness and behaviors. This session is designed for open practice of the social skills that have previously been taught. We will create opportunities for the students to practice social thinking, Theory of Mind skills, and executive functioning skills in a play environment. This gives us the opportunity to help each child individually navigate a challenging social scenario using their tools and knowledge from previous groups. Due to the level of individualization, instead of a weekly teacher letter, we will give our contact information to your child’s teacher and can facilitate open communication on skills their student continues to strengthen as well as get feedback on what skills need continued practice in the school environment. Classes/Workshops, education, Inspirational, Special Education, TipsADHD, Aspergers, behavior goals, big or little problems, Charlotte, Christina Licata, classes in August, cognitive, collectively helping children, confidence, confident solutions, counseling, elementary grades, empowering children, empowering parents, foundation of social thinking, help with my child's social skills in school, helping to grow children's social thinking, how behaviors are connected to emotions, inspirational quotes, intuitive, JN Pease Pl, new school year, play, self-awareness, self-control, self-monitoring, self-regulate, social awareness, social learning, social skill classes in the Charlotte area, social skills, social skills classes, social thinking, speech language therapy, Sundays, sunflower pictures, sunflowers, thinking about thinking, understanding hidden social rules, University Area, University Ridge Office Center, we're a team, Wendy Britt, whole body listening, your time as a caterpillar has expired. your wings are ready. The Orton-Gillingham approach was originally used to teach people with dyslexia how to read. However, this systematic, multi-sensory approach truly benefits all learners. If your child is struggling to read, please contact me for further information about tutoring using the Orton-Gillingham approach. Filling in the gaps and teaching necessary reading skills to your child will benefit him/her throughout their life. Having the ability to pick up a book, read it and get lost in the story is a true gift. I would love to help your child succeed! If you would like more information about tutoring or what the Orton-Gillingham approach is, you can reach me at confidentsolutions7@gmail.com. Please put OG Tutoring in the subject line. If a child is struggling learning to read, we teach that child unique ways to learn maybe through phonics, or blending patterns. If a child is struggling with concepts in math, we offer ways of support such as tutoring and breaking down the concepts until they understand the steps. Social skills really are the same. In school a student will typically have to pull a card, lose a buck or sit at the quiet table. Teachers and administrators report that a child is struggling understanding and utilizing good social skills but the actual skills are not being taught or supported. Just like special strategies can be implemented to teach a child to read, there are curriculums and specialists who can teach your child social skills. Both types of teaching express the importance of having a strong support network for your child as well as practicing the skills that are being taught. When we are teaching a child phonics, we would then expect and set up situations where they are practicing the phonic skill. Social skills are the same in that, as children are learning how to “think” about thinking, having a support network of parents/guardians and teachers to help them practice the skills is necessary. Our social skills classes are called Mindful Thinking for Social Expectations. Our classes run six-week sessions with each session having a unique focus. If this is your first time joining a social skills group or if your child has specific “behaviors” that you are unsure how to teach, we recommend beginning with our self-awareness, self-monitoring, and self-control classes. We currently are teaching a session on “play” which includes how to enter and engage in play, how to read nonverbal language, and beginning to understand other people have thoughts and perspectives. We keep our class sizes small so the students have the ability to interact and practice the social skills they are learning. This also enables us to offer more individualized instruction. We also believe empowering parents is important. In conjunction to the student class, we have a parent group that meets at the same time. The parents are learning information on the importance of reinforcing and practicing the skills their child is learning. We also offer a teacher letter each week so we can connect with your child’s teacher. We feel this is an important piece so he/she can help reinforce the skills your child is learning. This is a slow and deep process. The focus of our classes are not about “managing” behaviors but rather teaching skills that begins to create a shift for students and parents. Once these skills are learned, the students will be empowered to problem solve social situations that were once difficult for them. We welcome any questions you have! If you would like to talk with us more about our classes, please reach out to us at confidentsolutions7@gmail.com. We are aware of the challenges of communicating an “invisible disability” with a teacher, administrator and even a relative. What do we mean by “invisible disability?” This refers to a disability other people can not easily see, and often times, they will unknowingly bear judgment towards the parent and/or child. 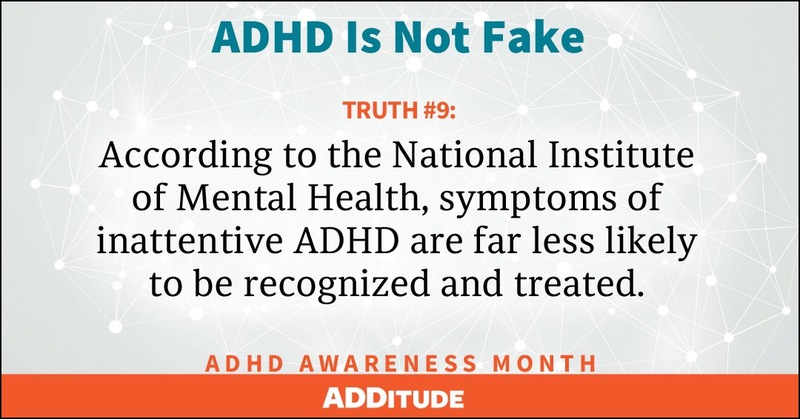 The disability may be ADD/ADHD, anxiety, Asperger’s Syndrome, Dyslexia, Dysgraphia, Dyscalculia, etc. Unfortunately, we may hear teachers or relatives imply the child needs more discipline or will offer an opinion about how to parent. Usually there’s a “therefore…” thought that follows. People who don’t deal with invisible disabilities on a daily basis often want the child to perform to their expectations. Their individual awareness of what the child struggles with becomes apparent. If you pull back and look at the situation, often these statements from other adults are coming from a place of their personal awareness, social expectations and individual experiences they have had in their lives. Often, as adults, we struggle seeing beyond our own personal experiences. So, how do we communicate with people who do not “see” the disability? This is especially important if they have an influence in the child’s life (such as a relative or teacher). As a parent, you are in the role of helping your child succeed. First, you are gaining information about your child and his or her disability. As you work with other professionals, attend classes, and build your child’s team, you are creating a shift of awareness within yourself. Understanding where your child’s strengths and weaknesses lie and setting goals to further help your child will create a shift within your family. As awareness increases you will be setting up expectations and goals at home. What do you expect as a parent? How do you communicate and help your child with these expectations at home? What are your expectations and goals for yourself? A plan will begin to form based on your new knowledge. Your parenting style may change. Hold true to your plan even if a grandparent, aunt or uncle can not understand it. Remember, they have awareness based on their experiences. You may choose to give information to a family member along the way, but we recommend doing so with an open heart instead of a goal of creating a shift in them. When working with teachers and school staff, understand two things: one, they are working with your child from their experiences and training, and two they may see your child in a different light. Difficulties you experience at home may not be the same as what they are experiencing at school. Share your knowledge; but listen to theirs as well. Share evaluations and your home experiences but also remember to be open to hearing about situations from school. You both may have different perspectives, but work towards coming together for the benefit of your child. With your child’s teacher, come up with a plan for school. Be specific in your expectations. Are you hoping to have your child’s teacher gain more awareness of how your child thinks socially? Or are you wanting them to help your child experience more academic success? We have found that you will have more success communicating with your child’s school when you have one or two specific goals in mind. In closing, we are aware that “invisible disabilities” are very real. They affect our children differently in different environments. The level of impact one of these disabilities has on a child can be significant in all areas of their life. Ultimately, you are creating a shift in thinking within yourself, creating goals and expectations for your family, bridging a gap with your child’s school, and holding true to your plan when around extended family. Although these areas can be challenging, consistency with your overall plan will reap the greatest reward.